Speech: Say It! Hear It! 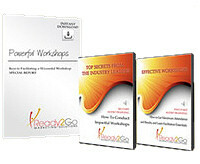 - The Power of Effective Communications from Ready2Go Marketing Solutions, Inc. This presentation is designed to share insights about effective communication skills. This is a topic that is of interest and benefit to everyone. It is full of useful and practical tips as well as anecdotes that support the key points. Since most meeting planners want to know what you are going to talk about, it is best to describe the speech in terms of benefits. This is copy often used in promotional materials. Your people will walk away with three fundamental tools for effective communication. They will pick up some ideas that will help them connect better with other people; listen with intention; and deliver an effective message.